The need for food security and poverty alleviation in the sub-Saharan Africa, using root crops, formed a major discussion at the just-concluded 12th Triennial Symposium of the International Society for Tropical Root Crops-Africa, held recently in Accra, Ghana. These can be achieved by tapping into the opportunities offered by the root crops; namely – yam, cassava and sweet potatoes – through effective trading and marketing; research and development of the crops under enduring and favourable government policies. 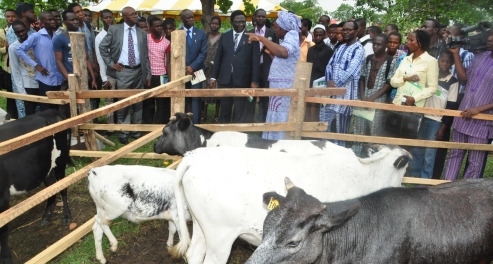 The theme of the symposium was Competitiveness of Root Crops for Accelerating Africa’s Economic Growth and was attended by over 300 participants drawn from both the public and private sectors of the economy, including members of staff and students of the Federal University of Agriculture, Abeokuta. Others are Council for Scientific and Industrial Research (CSIR); International Institute of Tropical Agriculture (IITA); Food and Agriculture Organisation (FAO); International Society for Tropical Root Crops (ISTRC); Centro Interncional De La Papa (CIP); National Root Crops Research Institute, Umudike (NRCRI); Harvest Plus and the African Development Bank-funded Support for Agricultural Research and Development of Strategic Crops (SARDSC). In addition, the Consultative Group on International Agricultural Research (CGIAR) programme on roots, tubers and bananas; Ministry of Environment, Science, Technology and Innovation, Ghana (MESTI); Ministry of Food and Agriculture, Ghana (MOFA); Yam Improvement for Income and Food Security in West Africa (YIIFSWA); Universities such as Abomey-Calavi University, Benin Republic; Catholic Relief Services and members of the Nigerian EU-GRATITUDE (Gains from Losses of Root and Tubers) Project were in attendance. The Vice-Chancellor, Professor Olusola Oyewole, who attended the symposium, was glad that there was a remarkable improvement in the number of participants when compared with what obtained in the past. Also in attendance was the coordinator of the EU GRATITUDE-Cassava Growth Markets and EU Tropical Root Crops Capacity Building projects, Professor Keith Tomlins who is the President, International Society for Tuber and Root Crops (ISTRC). Participants appreciated the European Union FP7 for sponsoring them to attend the symposium, which they said will facilitate their research work through the timely dissemination of their research outputs. 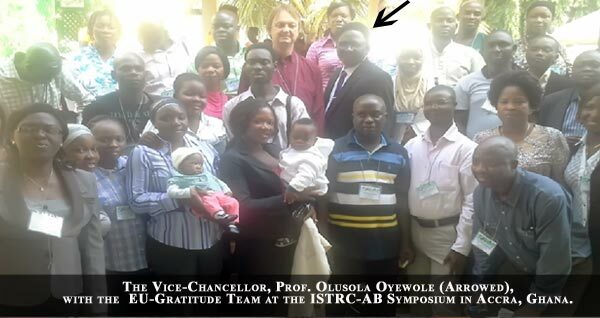 Meanwhile, Professor Lateef Sanni, Honourable Member of FUNAAB’s Governing Council and the former Head, Food Science and Technology Department, was elected at the occasion as the African President of the Society-Africa Branch (ISTRC-AB). He takes over from Dr. Nzola Mahungu, an IITA Senior Scientist, who is based in the Democratic Republic of Congo. 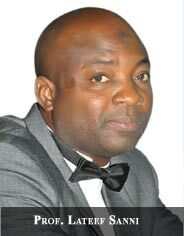 Professor Sanni is the current President, Nigerian Institute of Food Science and Technology (NIFST).